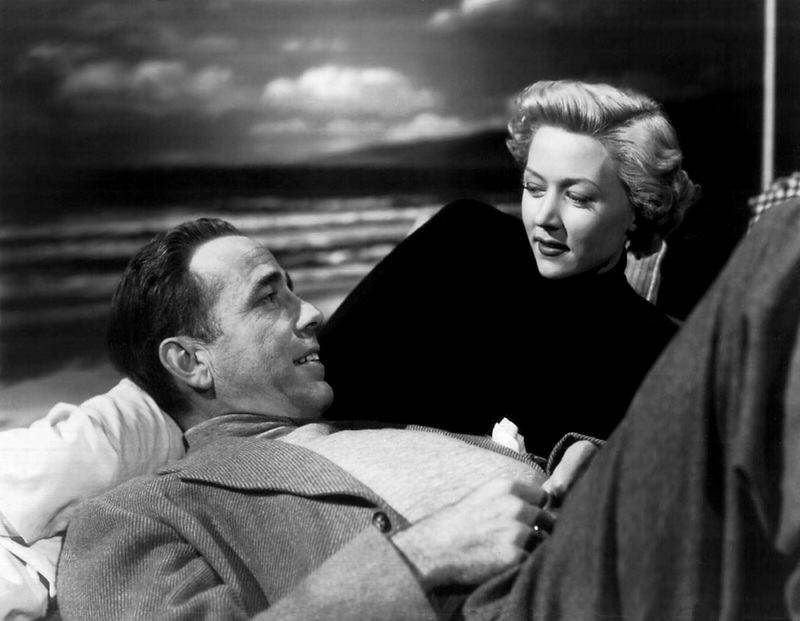 A rare moment of happiness in the life of ‘Dixon Steele’ played by Humphrey Bogart in IN A LONELY PLACE. 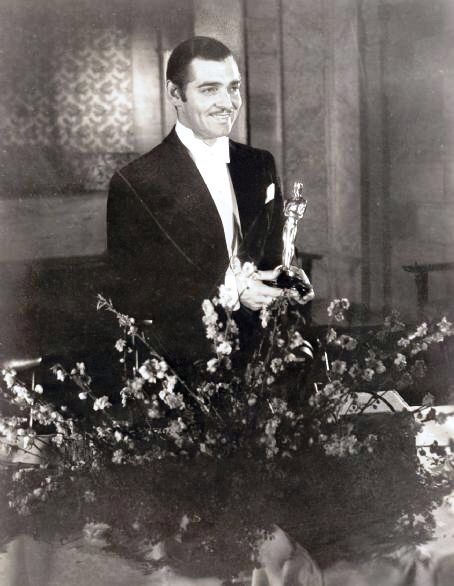 I bet Clark Gable didn’t expect to win an Oscar for IT HAPPENED ONE NIGHT! 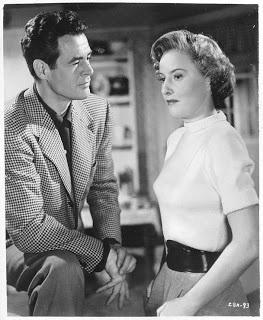 Not too many quiet moments in the fiery relationship of Robert Ryan and Barbara Stanwyck in CLASH BY NIGHT. 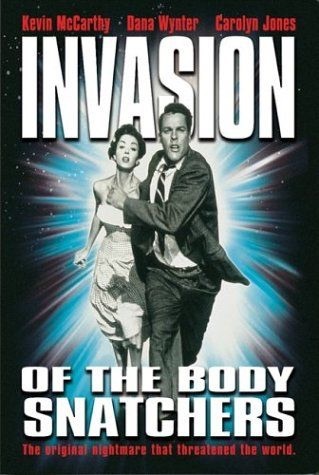 If you havent seen INVASION OF THE BODY SNATCHERS, why not! 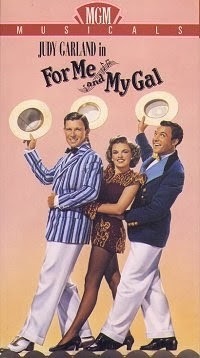 Gene Kelly’s first film, FOR ME AND MY GAL, with Judy Garland and George Murphy. Well, if I must choose…. 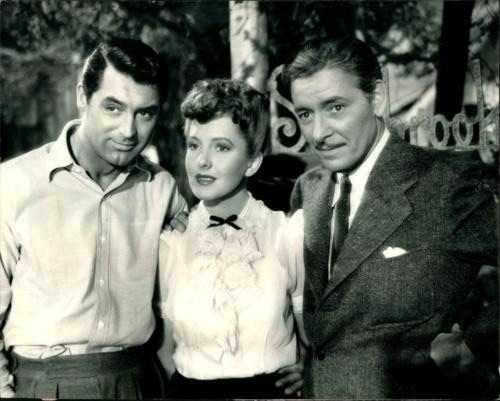 Cary Grant, Jean Arthur, Ronald Colman. THE TALK OF THE TOWN. Great HITCHCOCK shot from NORTH BY NORTHWEST. Cary Grant should have stayed in Rapid City. 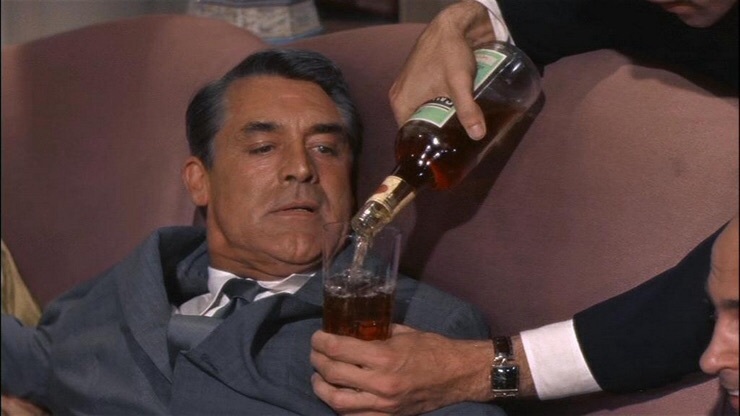 Cary Grant in NORTH BY NORTHWEST. Who’s in the silhouette and what’s the movie? What a pity Cary Grant and Ava Gardner didn’t make a film together . Good stuff! 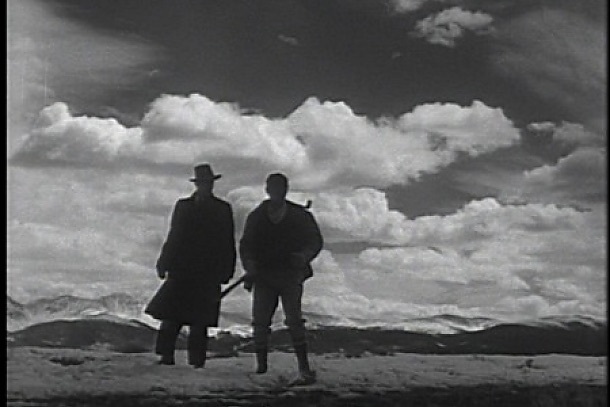 As for the quiz question, that’s Robert Ryan and Ward Bond in On Dangerous Ground (1951). 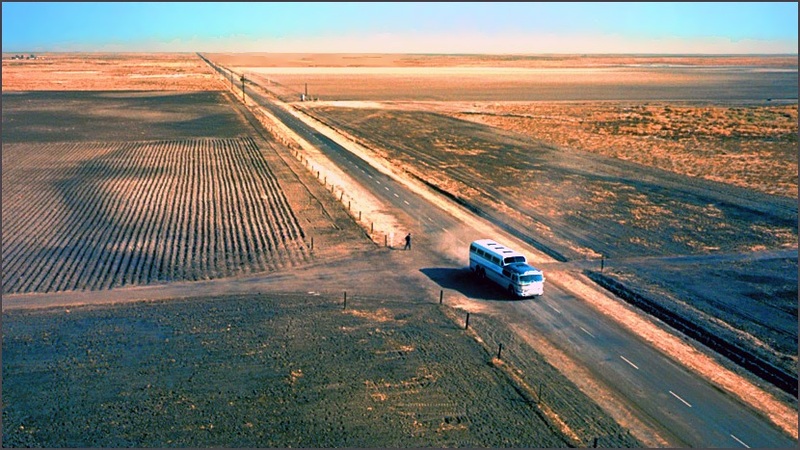 I wrote an essay on On Dangerous Ground for the Wonders in the Dark site a few months ago, and one of my screengrabs was about three frames away from yours — so recognition was easy enough! Enjoyed your review, and yes, a frame apart! You know, a Cary Grant-Ava Gardner movie might have been interesting. Nice photo of them. Very glad you included a photo of Grant-Arthur-Colman in “Talk of the Town”. I never tire of that movie. I love Talk of the Town too.